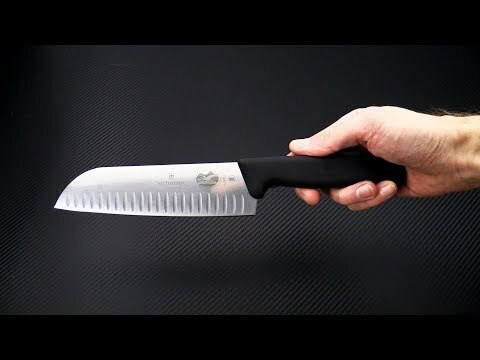 Victorino 7" Fibrox Granton Edge Santoku Knife is regarded as the the Japanese Cooks Knife. Extremely versatile knife has their ever popular Fibrox™ slip resistant handle. Comes in a clamshell retail package.